Catherine Cavendish: Helen Duncan - The Last Convicted Witch? Helen Duncan - The Last Convicted Witch? To many, she was just another Scottish housewife, but Helen Duncan was regarded as a notorious charlatan by some and a martyr by others. So who was this unprepossessing lady who had Parliament in a spin right in the middle of World War II? Helen Duncan was born in Callender, in Scotland on 25th November 1897 and, from an early age,was noted for her apparent ability to connect to the spirit world and, through the act of mediumship, convey their messages. She was also noted for her apparent ability to emit vast quantities of ectoplasm - an ability that later led to much ridicule and condemnation. 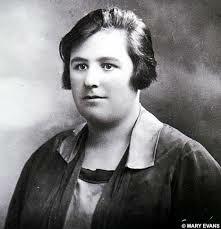 She married young - at the age of 20 - and her twelve pregnancies resulted in just six surviving children. Her husband, who was a cabinet maker, had been injured in World War I, so Helen was a much needed breadwinner. She worked at the local bleach factory during the day and conducted Spiritualist sittings by night, earning a small amount of cash in the process. It is reported that she would often use these funds to help her friends and neighbours, who were in similar dire financial circumstances to herself, by paying their medical bills. 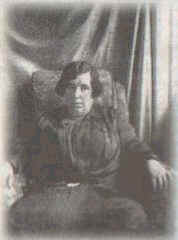 Helen gained a reputation for her accuracy and, by 1931, she was making her living conducting seances up and down the country and was a minister to a number of Spiritualist churches. But things began to go badly wrong. She was publicly denounced as a fraud by the Morning Post and the London Psychic Laboratory and, in 1934, was prosecuted by the Edinburgh Sheriff's Court as a 'fraudulent medium', received a £10 fine and a month's prison sentence. Undeterred by this unpleasant experience, Helen continued to practice, but chose to transfer herself to Portsmouth during World War Two, where the Royal Navy was based, and this led directly to trial at the Old Bailey. 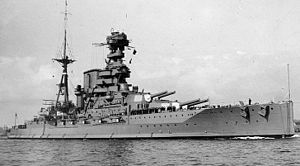 During a seance, through her spirit guide, Albert, she claimed to pick up the spirit of a sailor who announced that he had just gone down with HMS Barham. The only problem here was that the sinking of that ship wasn't made public until many months later and certainly wasn't in the public domain at the time of her seance. Whether this was a product of genuine mediumship, or something more sinister (as some alleged), it was certainly enough to bring her to the attention of the authorities and, on 19th January 1944, one of her seances was raided by police. She and three members of her audience were arrested. Eventually, she was prosecuted under section 4 of the archaic Witchcraft Act of 1735, which carried a maximum 12 month prison sentence. At that trial, her supporters rallied round and raised funds to bring witnesses from all over the country - many of them pillars of the community - all prepared to testify to the authenticity of her seances. As to whether she produced ectoplasm, (or cheesecloth,as had been alleged by the prosecution), one witness stated that the substance could not possibly be cloth as, if so, its colour would have changed under the red light of a seance room. Far from it, attested Hannen Swaffer, respected journalist and co-founder of the Psychic News. In Helen Duncan's case, the manifestations remained uniformly white. The trial resulted in daily, sensational, newspaper headlines and, it was even proposed (by the defence) to put Helen into a trance and let the jury see for themselves what transpired. This caused a furore among the prosecution lawyers. Supposing, somehow, she managed to pull it off? Or worse, if she didn't, the whole British legal system would be held up to ridicule. They declined. Helen was found guilty and, after some debate, her sentence was set to nine months incarceration under the Witchcraft Act, for pretending 'to exercise or use human conjuration that through the agency of Helen Duncan spirits of deceased persons should appear to be present'. She was also charged with offences under the Larceny Act for taking money 'by falsely pretending that she was in a position to bring about the appearances of the spirits of deceased persons'. She served her sentence in the notorious Holloway women's prison. So, she became the last person to be jailed under the Witchcraft Act of 1735, but not the last to be convicted under it. That dubious privilege was left to the septuagenerian, Sara Rebecca Yorke, who was tried in late 1944, but was bound over and received a fine, in view of her advancing years. Although she is often called 'the last witch', Helen was never specifically tried as a witch. The Act of 1735 had done away with the barbaric practices of the past that had resulted in such travesties of justice as the Lancaster Witch Trials of 1612 (aped by those in Salem, Massachussetts eighty years later). Helen's infamous trial did, however, provide a catalyst for much needed change. A political campaign was begun, supported by Winston Churchill, who had described the charges against Helen Duncan as, 'obsolete tomfoolery'. Churchill himself had long held a serious interest in spiritualism. Finally, the campaigners succeeded and the Act was repealed in 1951, to be replaced by the Fradulent Mediums Act, which is still in place today. As for Helen, she was released from prison in September 1944, but she never managed to slip entirely under the police radar. In 1956, they raided a seance when she was in mid-trance. Generally regarded as a spectacularly dangerous thing to do, they manhandled her while in this trance-state and took her away. She was said to exhibit second degree burns and was bleeding from her mouth. As a diabetic, with a heart conditon, she was sent back home and later rushed to hospital. Helen Duncan died thirty-six days later. So was she - as some have alleged - a spy? Was she a genuine medium? Or was she a very clever fake? Opinions were, are and will always be, divided. Those who believe will believe and those who do not, will never be convinced. Fascinating, Cat. I didn't realise that people could still be convicted as witches until so recently. She's got a nice face, hasn't she?